We connect aircraft owners and buyer’s through our FREE aircraft listings, while also making aircraft purchasing easy, fun and more affordable. Most important, our bestselling, Complete Guide to Aircraft Ownership teaches pilots how to “live the champagne lifestyle on a beer budget.” It does this by showing how to fly faster, higher and safer without burying yourself in debt. Mooneyland was founded by Richard “Zef” Zephro, who amassed nearly 6,000 hours of flying “OPM” (Other People’s Mooney’s) as well as the several that he owned personally. For Zef, the sky is no longer the limit. Sadly, he left us due to poor health in 2012. But, a “pilots pilot” to the end, he worked diligently to ensure that others still had the ability to learn from his vast experience. To that end, Zef dedicated hundreds of hours with me, Shane Ellison, as a mentor to ensure that Mooneyland had trusted leadership. 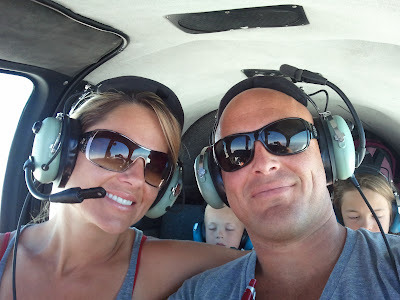 As his close friend, fellow pilot and owner of a vintage Mooney M20C (which has been “Zephroized”), I’m honored to do just that – along with the amazing help of his wife Liana. List your plane on Mooneyland.com FREE! Sometimes, circumstances dictate we must part with our pride and joy. At Mooneyland, we have a ready pool of customers seeking aircraft NOW. Many of our listings sell within days or weeks and after all is said and done. We pride ourselves on the fact that OUR VERY POPULAR WEBSITE sells more airplanes on its own than any other outside advertising does. You can see the proof for yourself that over 40% of those that visit THIS SITE to view Aircraft For Sale are on their own (no referral) and not referred by the outside ads we place. There is simply no other Mooney Aircraft for Sale Websites that generate so much traffic. The bottom line is that your Mooney airplane gets more attention HERE than anywhere else because we get up to 94,000 peak hits per day! 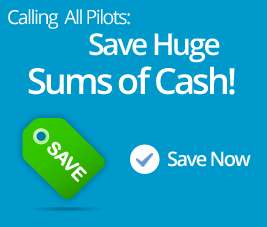 Want the perfect plane at the perfect price? Then this will be your best investment, EVER! Mooneyland has helped hundreds of enthusiastic new owners realize their dreams of aircraft ownership by offering only the safest aircraft for sale. Why not become part of our growing family of satisfied customers? We can make sure you get the most airplane for your money and we won’t try and sell you more airplane than you need. A major portion of our business is to locate the perfect aircraft for you.We know what questions to ask, and are usually able to determine if the answers are honest or not. This helps eliminate expensive and time consuming “wild goose chases”. We speak to the owner, his mechanic, have log entries read to us, and more…prior to continuing with the deal! We don’t leave you after the sale either. Our many years of aircraft experience is shared with you, and our qualified advice can go a long way toward your ownership enjoyment. After all, who can enjoy owning an airplane that is a dangerous lemon or a dog? Let us help you avoid those pitfalls. We will be there for you during the life of ownership providing you with technical support, plus our sources and resources of where to find what it is that you need. Grab a Cup of Java, sit back and relax into our blog, which will help educate you and enhance your enjoyment of flying. In addition to providing all of Richard Zephro’s articles, we at Mooneyland are dedicated to providing continuing education for pilots and soon-to-be-pilots on our blog. We hope that you not only enjoy each article, but learn from them and practice safety first, always asking; “What If”? Further, you can also learn things you can personally do in order to make your beloved Mooney-Bird’s owning experience not only exciting, but cheaper to own and operate. Our motto is to achieve “Champagne Results on a Beer Budget”.